The New Atlantis notes with great sadness the passing of our contributor Jonathan B. Tucker. An esteemed and prolific expert in nonproliferation policy, he was described by a close colleague as a “humble giant” of his field. Read about the life and work of Jonathan B. Tucker here. In recent years, the nuclear ambitions of Iran and North Korea, and lingering fears of bioterrorism in the wake of the 2001 anthrax letter attacks, have overshadowed concerns that rogue states and terrorist organizations could acquire and use chemical weapons (CW). Whereas biological warfare agents are living microorganisms that cause deadly infectious diseases such as anthrax, smallpox, and plague, chemical warfare agents are manmade toxic chemicals such as chlorine, phosgene, and sarin nerve gas. Today the CW threat has all but disappeared from the radar screen of senior U.S. government policymakers, the news media, and the general public. In 2008, for example, the bipartisan Commission on the Prevention of Weapons of Mass Destruction Proliferation and Terrorism, chaired by former Senators Bob Graham (D.-Fla.) and Jim Talent (R.-Mo. ), excluded any discussion of chemical weapons from its report, World at Risk. The rationale for this omission was that an incident of chemical terrorism would resemble a hazardous-materials accident and would be far less consequential than either a nuclear or biological attack. In November 2009, the Obama administration issued a new National Strategy for Countering Biological Threats but made no mention of chemical weapons. The current sense of complacency about the CW threat is partly the result of several positive developments, including the demise of the Soviet Union, which possessed the world’s most threatening chemical arsenal, and the entry into force in April 1997 of the Chemical Weapons Convention (CWC), an international treaty banning the development, production, transfer, and use of chemical arms, to which all but a handful of countries adhere. Nevertheless, there are real grounds for concern about a future resurgence of the CW threat. A confluence of military, economic, and technological trends — the changing nature of warfare in the twenty-first century, the globalization of the chemical industry, and the advent of destabilizing chemical technologies — have begun to erode the normative bulwark of the CWC and could result in the emergence of new chemical threats from both state and sub-state actors. To prevent these potential risks from materializing, much needs to be done at both the national and the international levels. Chemical weapons were first used on a large scale during World War I. In late 1914, the military imperative of breaking out of the bloody stalemate of trench warfare led the Prussian chemist Fritz Haber to propose releasing clouds of chlorine gas from pressurized cylinders in order to drive the enemy from his trenches. Once Germany broke the taboo against poison warfare at Ypres in April 1915, all of the other major combatants followed suit. By the end of the war, attacks with chlorine, phosgene, mustard gas, and other toxic agents had inflicted roughly one million casualties, about 90,000 of them fatal. Despite the negotiation in 1925 of the Geneva Protocol banning the battlefield use of chemical weapons, their development continued during the inter-war period. In 1936, Gerhard Schrader, a German industrial chemist developing pesticides at the I. G. Farben company, accidentally discovered a new family of supertoxic poisons that attack the nervous system, causing convulsions and death by respiratory paralysis. The German Army subsequently developed these compounds into what became known as the G-series nerve agents, including tabun, sarin, and soman. Fortunately, Hitler never made use of these secret weapons during World War II, in part because German intelligence concluded — incorrectly — that the Allies had discovered them independently. In the early 1950s, industrial chemists at Imperial Chemical Industries in Britain developed a new pesticide called Amiton that soon proved too toxic for agricultural use and was pulled from the market. But Amiton was transferred to the British chemical warfare establishment at Porton Down and became the first of the V-series nerve agents, which readily penetrate the skin and are lethal in minute quantities: a drop of VX weighing 10 milligrams can kill a grown man in minutes. During the Cold War, the United States and the Soviet Union produced and stockpiled tens of thousands of tons of nerve agents in a shadowy chemical arms race that paralleled the more visible nuclear competition. Chemical weapons also proliferated to several countries in the developing world and were used on the battlefield in the Yemen Civil War (1963-67) and the Iran-Iraq War (1980-88). During the latter conflict, Saddam Hussein first ordered the use of mustard gas in 1983 to counter Iran’s numerical superiority and “human-wave” infantry tactics, which were overwhelming Iraqi positions. When his chemical attacks did not provoke international condemnation, Saddam became emboldened and initiated the use of nerve agents in March 1984 during the battle of Majnoon Island. The Iranian forces were vulnerable to chemical attack because the Basij militia had no gas masks and the Revolutionary Guards refused to shave their beards, preventing their masks from achieving an airtight seal. Towards the end of the war, Saddam Hussein used chemical weapons as an instrument of terror against the restive Kurdish population in northern Iraq. In a notorious attack on March 16-17, 1988, the Iraqi Air Force dropped bombs containing mustard gas and nerve agents on the Kurdish town of Halabja, killing an estimated 5,000 civilians, many of them women and children. Terrorist groups such as Aum Shinrikyo in Japan and al-Qaeda in Afghanistan have also attempted to acquire and use chemical weapons, so far with limited success. Some analysts have questioned whether chemical arms meet the criteria of a “weapon of mass destruction” because large quantities of an agent like sarin would be required to cause thousands of casualties in an outdoor attack. But if the threat posed by a weapon is thought of as the product of the likelihood of its use and the scale of the potential consequences, then chemical weapons must be taken seriously. Not only are the materials, equipment, and know-how for CW agent production more accessible to states and terrorist organizations than those for nuclear or biological weapons, but under the right atmospheric and weather conditions, toxic chemicals can have devastating effects on unprotected troops or civilians. Like a chiaroscuro painting by Rembrandt, the current status of CW proliferation is a mixture of light and shadow. On the bright side, the effective implementation of the Chemical Weapons Convention since its entry into force in 1997 has reduced the number of countries that possess chemical weapons from nearly twenty during the 1980s to a half-dozen today. To date 188 states, accounting for about 98 percent of the world’s population and landmass, as well as 98 percent of the global chemical industry, have signed and ratified the CWC. This number is remarkable when one considers that the treaty has only been in force for a dozen years. Much of the credit for this achievement goes to the CWC’s international secretariat, the Organization for the Prohibition of Chemical Weapons (OPCW) in The Hague, which has actively recruited new members. The basic prohibitions of the CWC are comprehensive in that they ban the development, production, possession, transfer, and use of all toxic chemicals except for peaceful purposes and the preparation of defenses against chemical attack. This approach, known as the “general purpose criterion,” ensures that the treaty cannot be overtaken by technological change: as soon as a novel CW agent is developed, it automatically falls under the purview of the CWC. For practical reasons, however, the treaty’s stringent verification regime does not cover the entire universe of toxic chemicals, which is vast and continually expanding. Instead, verification is based on the finite set of chemical agents and precursors (key ingredients) that have been developed or used in the past for warfare purposes. These compounds are listed on three “schedules” in an annex to the treaty. Schedule 1 comprises known CW agents and their immediate precursors that have no utility for peaceful purposes, while Schedules 2 and 3 contain “dual-use” chemicals that can be diverted for CW agent production but also have legitimate industrial applications in small and large quantities, respectively. Together with quantitative production thresholds, the three Schedules serve as the basis for determining which chemical industry facilities in CWC member countries must be declared and opened up for routine visits by OPCW international inspection teams. The CWC also requires the declaration of existing chemical weapons stockpiles and their destruction under strict international monitoring, as well as the dismantling or conversion to peaceful purposes of former CW production facilities. Seven parties to the treaty — Albania, India, Iraq, Libya, Russia, South Korea, and the United States — have declared chemical weapons stockpiles and proceeded to destroy them under international supervision. Three of the declared CW possessor states have already completed the destruction of their stockpiles: Albania in July 2007, South Korea in October 2008, and India in March 2009. Libya pledged to finish the job by December 31, 2010 but has encountered technical difficulties and was recently granted an extension until May 15, 2011, while Iraq has a small legacy stockpile of about 500 chemical munitions that it has yet to destroy. As of December 2009, about 56 percent of the world’s declared total of 71,194 tonnes (metric tons) of CW agents had been verifiably eliminated. The major problem facing the chemical disarmament process is that the United States and Russia, the world’s two largest possessors of chemical weapons, are behind schedule in eliminating their vast toxic arsenals left over from the Cold War. As of December 2009, the United States had destroyed 66 percent of its stockpile while Russia had reached the 45 percent mark. At the current rate of destruction, the United States will have destroyed only 90 percent of its stockpile by the extended CWC deadline of April 29, 2012, and it is not expected to finish the job until 2021. Russia is also unlikely to meet the 2012 destruction deadline. Because the CWC has no provision for further extensions, the expected failure by the two largest CW possessors to eliminate their stockpiles on schedule could undermine the credibility of the chemical disarmament regime. Even so, Washington and Moscow remain committed to the goals of the CWC and have reaffirmed their intention to complete the task as soon as possible. As membership in the CWC approaches universality, chemical weapons have lost any residual political legitimacy, even for purposes of retaliation or deterrence. Yet despite this new international norm, several countries continue secretly to possess chemical weapons and to upgrade their capabilities. At present, only eight states remain outside the CWC. Angola, Egypt, North Korea, Somalia, and Syria have neither signed nor acceded to the treaty; Israel and Burma (Myanmar) have signed but not ratified; and Taiwan would like to join but cannot because since 1971 it has not been a member of the United Nations. Four of the hold-out countries — Egypt, Israel, Syria, and North Korea — have been named in public sources as likely possessors of chemical weapons. In addition, the U.S. State Department’s 2005 unclassified report on compliance with arms control agreements (the most recent available) publicly accused three CWC member states — China, Iran, and Russia — of violating their treaty obligations by retaining undeclared CW development or production facilities. In order to address such allegations of noncompliance, the negotiators of the CWC built into the verification regime the option for any member state to request the OPCW inspectorate to conduct a short-notice challenge inspection of any suspect facility, declared or undeclared, that is located on the territory of another member state. This measure was intended as a “safety net” to capture clandestine chemical weapons development, production, or storage facilities that countries have deliberately not declared and hence are not subject to routine international inspection. Unfortunately, despite festering allegations of noncompliance, no state party to the CWC has yet requested a challenge inspection in the dozen years since the treaty entered into force. One reason for this inaction is that the CWC negotiators set a high bar for launching a challenge inspection by requiring the requesting state to provide evidence of a treaty violation. Not only is it politically risky for one member state to directly accuse another of cheating, possibly provoking a retaliatory challenge, but the failure of a challenge inspection to find “smoking-gun” evidence to substantiate the charge could end up letting the accused party off the hook, even if it is actually guilty. The longer the CWC challenge inspection mechanism remains unused, however, the less it retains the power to deter violations. Accordingly, it would be desirable to lower the political threshold for launching a challenge inspection by using this measure to clarify ambiguities and concerns about compliance, such as whether or not a particular facility should have been declared, rather than attempting to catch a violator red-handed. Exercising the challenge-inspection option for clarification purposes would help to restore its credibility and also make it possible to work out the kinks in the process so that it does not have to be used for the first time in response to a crisis. After most of the world’s declared chemical weapons have been eliminated by the 2012 deadline, the primary focus of CWC implementation will shift from disarmament to nonproliferation, or efforts to ensure that chemical activities are conducted for non-prohibited purposes only. A key element of this task, as British CW analyst Julian Perry Robinson has pointed out, is “protecting against the malign exploitation of dual-use chemistry,” meaning chemical materials, production equipment, and technologies that have both peaceful and military applications. Unfortunately, the CWC contains some major gaps with respect to verifying the non-production of chemical weapons at dual-use industry facilities. First, because the three Schedules were compiled during the CWC negotiations in the 1980s and early 1990s and have not been updated since, they do not include a number of CW agents and precursors of more recent vintage. As a result, although the general purpose criterion bans the development or production of any chemical agent or precursor for hostile purposes, facilities that manufacture toxic chemicals not listed on the Schedules are exempt from routine inspection. The CWC does include an expedited procedure for updating the Schedules so that the verification system can keep pace with technological change, but member states have so far hesitated to use it. One reason for their reluctance is that adding new CW agents and their precursors to the Schedules would disclose sensitive information, such as the molecular structures of these compounds, that proliferators and terrorists could exploit. Because facilities that produce unlisted CW agents and precursors are not subject to routine verification under the CWC, the only way to pursue suspected violations involving such chemicals is by requesting a challenge inspection, which has not occurred for the reasons noted above. Thus, to prevent would-be cheaters from circumventing the treaty and undermining its effectiveness, the member states must either find the political will to employ the challenge-inspection mechanism to pursue cases of alleged noncompliance or develop alternative ways of enforcing the general purpose criterion at the national and international levels. since 1992, Russian scientists familiar with Moscow’s chemical warfare development program have been publicizing information on a new generation of agents, sometimes referred to as “Novichoks.” These scientists report that these compounds, some of which are binary agents, were designed to circumvent the Chemical Weapons Convention and to defeat Western detection and protection measures. Furthermore, it is believed that their production can be hidden within commercial chemical plants. There is concern that the technology to produce these compounds might be acquired by other countries. Whether the Soviet Union or Russia ever produced and stockpiled the novichok agents in significant quantities is unknown, at least from open sources. Meanwhile, technical information about these deadly compounds has gradually leaked into the public domain through the publication of unclassified books and reports, raising concern that the knowledge to produce them could spread to rogue states and terrorist organizations. Because no effective antidotes against the novichoks are available, however, synthesizing and handling even small quantities of these agents would be exceedingly dangerous. Outside Russia, chemical weapons proliferation today is concentrated in two regions of persistent conflict and crisis, East Asia and the Middle East. According to the State Department’s 2005 arms control compliance report, “China continues to conduct CW research and development that has applications for either defensive or offensive purposes. China also has the capability to quickly mobilize its chemical industry to produce a wide variety of chemical agents.” North Korea, for its part, has not signed the CWC and shows little interest in doing so. According to unclassified estimates by the South Korean government, Pyongyang has a chemical weapons stockpile of between 2,500 and 5,000 tonnes of mustard, phosgene, sarin, and V-series nerve agents. In addition, the North Korean army has deployed thousands of chemical-capable artillery pieces and multiple rocket launchers within range of Seoul, which would be devastated if war were to break out on the Korean Peninsula. Another Asian country that may possess an offensive CW capability is Burma (Myanmar). The human rights group Christian Solidarity Worldwide alleged in 2005 that the Burmese government was using chemical weapons against rebel fighters from the Karen ethnic minority, although these charges have not been corroborated. In the Middle East, Syria reportedly has an advanced chemical arsenal, including large stockpiles of sarin and VX. It has also acquired hundreds of Scud-type ballistic missiles that could deliver chemical warheads against Israeli population centers. According to published assessments, this capability serves as a relatively inexpensive “poor man’s atom bomb” that provides a partial counterweight to Israel’s undeclared but widely acknowledged nuclear deterrent force. Beyond this strategic role, Syria might conceivably use chemical weapons to bolster its conventional military operations in the event of a war with Israel over the Golan Heights. Given the shortcomings of the Syrian army in past engagements with the Israel Defense Forces in 1967, 1973, and 1982, a CW capability might provide Syria with a greater range of tactical options. Iran (unlike Syria) is a party to the CWC, but the U.S. government believes that it is secretly violating its treaty commitments. In early 2008, then-Director of National Intelligence J. Michael McConnell stated in congressional testimony that Tehran “maintains dual-use facilities intended to produce CW agent in times of need and conducts research that may have offensive applications. We assess Iran maintains a capability to weaponize CW agents in a variety of delivery systems.” This testimony suggests that Iran may have eliminated its active CW stockpile (first acquired during the Iran-Iraq War) and switched to a “mobilization” strategy in which it would rapidly produce chemical weapons in the early stages of a crisis or war. Egypt also appears to have a CW capability, although details are sketchy from public sources. The country employed chemical weapons in the 1960s during its military intervention in Yemen, and it later built an indigenous nerve-agent production capability at the Abu-Zaabal Company for Pest Control Materials and Chemicals near Cairo. Egypt also transferred chemical weapons and related technology to Syria in 1973 and Iraq in the 1980s. Although Egypt has so far refused to join the CWC in order to retain some political leverage vis-à-vis Israel’s nuclear weapons capability, the Egyptian CW program appears inactive and may simply consist of a legacy stockpile. Little public information is available about Israel’s CW capabilities. Tel Aviv signed the CWC in January 1993, committing politically to abide by the basic aims of the treaty, but the Israeli parliament decided in 1997 not to ratify until all of Israel’s Arab neighbors agree to follow suit. The top-secret Israel Institute for Biological Research near the town of Ness Ziona is known to conduct research and development on chemical defenses, but some suspect that it does offensive work as well. In addition, there have long been unsubstantiated rumors about an Israeli chemical weapons stockpile in the Negev Desert. Despite the potential harm to Israel’s chemical industry from CWC-mandated restrictions on trade in Schedule 2 chemicals with countries that refuse to join the treaty, security rather than economic concerns have dominated the Israeli debate over ratification. Military analysts such as Gerald M. Steinberg of Bar-Ilan University have argued that the tacit threat of Israeli nuclear retaliation in response to a Syrian or Iranian chemical attack would not be credible because of its lack of proportionality, while relying exclusively on retaliation with conventional weapons would not provide a sufficient deterrent. According to Steinberg, by remaining outside the CWC, Israel creates uncertainty in the minds of potential military adversaries that it may have the capability to retaliate in kind to a chemical attack, thereby bolstering deterrence. A major stumbling block to chemical disarmament in the Middle East has been the political and strategic linkage that exists between chemical and nuclear arms. Although neither Egypt nor Syria admit possessing chemical weapons, both countries have refused to join the CWC until Israel openly acknowledges its undeclared nuclear arsenal and accedes to the Nuclear Nonproliferation Treaty as a non-nuclear-weapons state. The current deadlock over chemical disarmament in the Middle East is likely to persist unless and until the peace process eases regional tensions and addresses the core security needs on both sides of the Arab-Israeli divide. The regional picture is not entirely bleak, however. Over the past decade, several Arab countries have broken with the hard-line states by signing and ratifying the CWC. A particularly encouraging development was the rollback of Libya’s CW program in 2004. Libyan leader Muammar Khaddafi, seeking to rejoin the international community after decades of diplomatic isolation and harsh economic sanctions, agreed to renounce his country’s nuclear and chemical weapons programs, including a stockpile of more than 24 tonnes of mustard gas. After acceding to the CWC, Tripoli declared a former CW production plant that had been concealed inside a pharmaceutical factory at a site called Rabta, and proposed to convert the facility to the peaceful production of drugs and vaccines for the African market. Since Libya’s accession to the CWC, Iraq and Lebanon have also joined the treaty, leaving Egypt and Syria as the last remaining holdouts in the Arab world. This brief survey makes clear that despite significant progress toward global chemical disarmament since the entry into force of the CWC in 1997, the complete abolition of this category of armament remains a distant goal. Today about a half-dozen countries, both inside and outside the treaty regime, continue to possess chemical weapons. Even so, the nature of the problem has changed. “Vertical” proliferation, or the acquisition of larger stockpiles and more advanced agents and delivery systems by existing CW possessors, has essentially replaced the earlier process of “horizontal” proliferation, or the spread of chemical arms to additional states. The nature of warfare in the twenty-first century is changing. Traditional set-piece battles between regular armies, as occurred during the 1991 Persian Gulf War and to a lesser extent in the 2003 Iraq War, are becoming increasingly rare. Instead, most military conflicts in the world today are civil wars, insurgencies, counterinsurgency campaigns, and low-intensity “operations other than war,” such as U.N. peacekeeping and counterterrorism. This trend, combined with the ongoing implementation of the CWC and the political delegitimation of chemical warfare, make it unlikely that the large-scale battlefield use of chemical weapons will recur in the future. Nevertheless, much as “military necessity” (Kriegsräson) drove the resort to chemical weapons in World War I and the Iran-Iraq War, the new forms of conflict could create incentives to employ such arms. For example, insurgent groups may view poison gas as a means of asymmetric warfare against domestic or foreign armies that have vastly superior conventional military capabilities. Conversely, government forces might employ chemical weapons against rebel fighters and civilians in entrenched separatist enclaves, perhaps in a covert manner that makes such attacks difficult to confirm or attribute. Finally, because ethnic and communal wars feed on deep hatreds and are often fought in a savage manner with little regard for the laws of armed conflict, they could well outstrip the normative and legal restraints against the use of chemical arms. Three examples of “improvised” chemical warfare in the recent past may be harbingers of the future. In June 1990, the Sri Lankan rebel group known as the Tamil Tigers fought a battle with the Sri Lankan Armed Forces (SLAF) near the town of Kiran on the island’s east coast. Running low on conventional munitions, the Tigers seized cylinders of pressurized chlorine from a paper mill and released the gas upwind of a fort controlled by the SLAF. The toxic cloud injured more than sixty Sri Lankan government soldiers, enabling the rebels to overrun the fort. At the same time, some of the toxic gas drifted back into Tamil territory, angering the Tigers’ constituency. In this case, the Tigers’ use of a chemical weapon was opportunistic in that the chlorine was readily available and satisfied an urgent military need. As terrorism analyst John Parachini has noted, however, the rebels did not make further use of chemical weapons because they feared a loss of support from the local population and the Tamil diaspora, who were essential to the group’s fundraising. A second example of improvised chemical warfare occurred during the war in the former Yugoslavia between Serbia and Croatia (1991-1995). On six occasions from 1993 to 1995, Serbian forces used rockets, bombs, artillery, machine-gun tracers, and mortars to attack the Petrochemia chemical plant, one of Europe’s largest fertilizer producers, which is located less than a kilometer from the Croatian town of Kutina. Because the Petrochemia facility stored a variety of toxic substances, including anhydrous ammonia, sulfuric acid, and formaldehyde, the Croatian Ministry of Defense deployed special hazardous-materials response units and a network of mobile and tower-based chemical sensors connected to a computer with a predictive dispersion model to prevent and mitigate hazards to the civilian population. Serbian forces also attacked a Croatian chemical plant thirty kilometers from the town of Jovan, resulting in the release of 72 tons of anhydrous ammonia. Fortunately, local public-safety officers had time to evacuate the town’s 32,000 residents. In a third incident, the Serbians fired mortars at the Herbos pesticide plant in the industrial center of Sisak but did not hit critical process-control or chemical storage areas. Although none of the Serbian attacks on Croatian chemical facilities resulted in a major threat to public health, subsequent U.S. computer modeling determined that if existing chemical storage containers had been breached, lethal concentrations of toxic materials would probably have spread over a wide area. Future conflicts may well involve deliberate attacks on chemical plants with the intent of harming civilian populations, a tactic that Theodore Karasik of the RAND Corporation has called toxic warfare without weapons. The most recent example of improvised chemical attacks took place in Iraq during the first half of 2007, when Sunni insurgents affiliated with the group Al-Qaeda in Iraq (AQI) decided to augment their vehicle-borne improvised explosive devices (IEDs) with chlorine, which is widely used in Iraq for water purification. On January 28, 2007, an AQI suicide bomber in the town of Ramadi detonated a truck laden with explosives and a tank of liquid chlorine. The blast killed sixteen people outright and also vaporized the chlorine, producing a cloud of noxious gas that caused vomiting and breathing problems in dozens of Iraqi civilians downwind and terrorized the community. Over the next six months, AQI operatives detonated several more truck bombs incorporating containers of liquid chlorine. Because the explosions burned much of the agent rather than dispersing it, the chlorine gas was not concentrated enough to cause many deaths. In an effort to enhance the toxic effects of the bombs, the insurgents experimented with different proportions of chlorine and explosive before finally abandoning the effort in June 2007. Although attacks with chemical IEDs have not recurred since, their repeated use in Iraq may have crossed a psychological threshold that could make a return to such tactics more likely. The chemical weapons threat is linked not only to changes in the international security environment but also to the process of economic globalization. Many developing countries have acquired the capability to manufacture their own fertilizers and pesticides, and multinational companies are building sophisticated multipurpose chemical plants in parts of the world where labor costs are low and environmental regulations are less stringent. At the same time, the burgeoning global trade in chemicals has reduced the effectiveness of traditional nonproliferation tools such as export controls. Forty-one industrialized countries (including the United States) participate in an informal forum called the Australia Group, in which they harmonize their national controls on exports of dual-use chemicals and equipment that can be used to produce CW agents. Yet companies from countries outside the Australia Group, such as China, India, and Russia, still sell controlled items to Iran and other states of proliferation concern. Corrupt middlemen have also been implicated in the illicit trafficking of CW precursors, including Frans van Anraat, a Dutch businessman; Q. C. Chen, a Chinese national; and Nahum Manbar, an Israeli citizen. Although governments are rarely complicit in illicit sales, they are often lax in enforcing national export controls. Other CW proliferation trends are also worrisome. Several countries that possess chemical weapons programs have tried to become self-sufficient in the production of key precursor chemicals in order to reduce their dependence on foreign manufacturers and avoid cut-offs in supply. One strategy, known as “back integration,” involves the domestic manufacture of CW precursors from simpler chemicals whose export is not restricted. Another means of circumventing export controls, called “secondary proliferation,” entails the transfer of CW precursors, production equipment, and know-how from existing possessors to friendly states seeking chemical arms. According to a report in Jane’s Intelligence Review, Iran helped Syria to plan, build, and manage five pilot plants for the production of CW precursors as part of a strategic cooperation agreement between the two countries. Finally, the globalization of the chemical industry has created a large pool of people with expertise in chemistry and chemical engineering who could potentially be recruited by states or non-state actors seeking to acquire a CW capability. At the same time that the process of economic globalization is undermining traditional nonproliferation measures such as export controls, a number of emerging chemical technologies have the potential to transform the nature of the CW threat. The pharmaceutical industry, for example, uses a technique called “combinatorial chemistry” to discover promising drug candidates. This method involves the automated mixing and matching of molecular building blocks to generate a “library” containing thousands of structurally related compounds, which are then screened for a desired pharmacological activity such as the ability to inhibit a key enzyme. Although harmful substances discovered in this manner typically have no therapeutic value and are set aside, it would be fairly easy to “mine” a combinatorial database to identify highly toxic compounds that could be developed into CW agents. According to a group of experts convened by the International Union of Pure and Applied Chemistry (IUPAC) to discuss the implications of emerging technologies for the CWC, “Some new chemicals found by database mining will have toxicity characteristics that could lead to their being considered as chemical weapon agents.” Before a new toxic chemical can be turned into an effective weapon, however, it must meet a number of additional requirements, including stability in long-term storage, an appropriate degree of volatility or persistence to ensure its effective dissemination, a low-cost production method, and the availability of medical antidotes to protect the attacker’s own troops. Recent advances in chemical production technology also have implications for the future of the CW threat. Chemical plants with flexible manufacturing equipment, such as versatile batch reactors and pipes that are easily reconfigured, are capable of switching rapidly from one product to another in response to shifts in market demand. Such multipurpose chemical plants are becoming more common in the developing world, increasing the risk that they could be diverted to the illicit production of CW agents or their precursors. In addition, chemical engineering firms in Germany, China, India, Japan, and South Korea are pioneering the use of “microreactors,” continuous-flow reaction vessels the size of credit cards, in place of traditional large batch reactors for the production of fine chemicals, cosmetics, and pharmaceuticals. By operating hundreds or even thousands of miniaturized reactors, heat exchangers, and mixers in parallel, it is possible to produce tons of chemicals per hour. This emerging technology offers economic, safety, and environmental benefits, including improved control of reaction parameters, higher yields with fewer unwanted byproducts, reduced energy consumption and generation of hazardous wastes, lower capital and production costs, and the ability to scale up simply by adding more units (“numbering up”). Yet chemical microdevices have a potential dark side because they are particularly well suited for the synthesis of highly toxic and reactive compounds. Moreover, by in effect shrinking a chemical plant to the size of a bedroom and minimizing the amount of heat and the volume of liquid and gaseous effluents generated by the facility, miniaturized production equipment could eliminate the traditional intelligence “signatures” associated with illicit CW agent production. Another trend in chemical manufacturing is the growing convergence between chemical and biological production methods. By employing a set of advanced genetic engineering techniques known as synthetic biology — explored in depth in these pages in Spring 2006 (“The Promise and Perils of Synthetic Biology”) — it is now possible to endow bacterial or yeast cells with the specialized biochemical machinery needed to produce complex molecules of medicinal value that are difficult and costly to extract from natural sources. For example, Jay Keasling and his colleagues at the University of California, Berkeley, have inserted “cassettes” of genes coding for complex metabolic pathways into yeast cells, enabling them to produce the immediate precursor of the anti-malarial drug artemisinin, a complex molecule that is currently extracted from the sweet wormwood plant. At the same time, the pharmaceutical and biotech industries have learned how to synthesize potent natural substances called peptides (short protein fragments) in multi-ton quantities by strictly chemical means. Although both synthetic biology and peptide synthesis offer great benefits, they could potentially be misused to produce biological toxins and other naturally occurring compounds for CW purposes. At present, the production of peptides is not subject to routine verification under the CWC, a gap that will have to be addressed in the future. Also warranting clarification is the extent to which the treaty’s definition of chemical production “by synthesis” covers biotechnological methods such as metabolic engineering. One consequence of the spread of flexible chemical manufacturing technologies (including multipurpose plants, microdevices, and biotechnological processes) is that they could enable countries to acquire a “latent” or “virtual” capacity to produce CW agents without the need to build dedicated facilities for that purpose. Defense analyst Michael Moodie contends that a CWC member state intending to violate the treaty could carry out the research, development, and small-scale testing of a CW production line in secret and then maintain this capability in distributed form within its civilian chemical industry. In the event of a crisis or war, the country’s leaders could decide to acquire an active stockpile of chemical weapons and convert one or more flexible manufacturing plants to clandestine CW agent production. The short lead-time required for start-up would limit the ability of potential adversaries to counter the threat by deploying improved chemical defenses. This potential for rapid “breakout” from the CWC poses major challenges for the chemical disarmament regime. Not only is a standby CW production capability much harder to detect than an active stockpile or a dedicated manufacturing facility, but a dual-capable plant would violate the treaty only when it actually began to produce CW agents. Because obtaining hard evidence for a secret mobilization program would be difficult, effective concealment might be possible even in the face of fairly intrusive on-site inspections. For these reasons, a number of chemical weapons proliferators appear to be shifting to a rapid-breakout strategy. In recent years, for example, U.S. intelligence officials have asserted in congressional testimony that Iran does not have a CW stockpile but instead maintains dual-use production facilities that could manufacture chemical agents in wartime. The problem of virtual proliferation warrants a recalibration of some of the verification measures in the CWC. In particular, there is a serious gap in coverage with respect to “other chemical production facilities” (OCPFs), a category of chemical industry plants that do not currently manufacture CW agents or precursors listed on the Schedules but are technically capable of doing so. The CWC requires that such facilities be declared if they produce more than 200 tonnes per year of “unscheduled discrete organic chemicals,” yet member states are required to provide little information about such plants beyond the name and location of each site. As the chemical industry spreads around the world, economic powerhouses like China and India are building large numbers of OCPFs, of which an estimated 10 to 15 percent contain flexible manufacturing equipment that could be diverted fairly easily to CW agent production. Accordingly, the global proliferation of OCPFs poses a significant risk to the object and purpose of the CWC. At present, only a small fraction of the roughly 4,500 declared OCPFs worldwide are selected each year for inspection by the OPCW. The site-selection algorithm is quasi-random but “weighted” to take account of the risk that a facility could be diverted to illicit production. In 2008, the OPCW international inspectorate visited 118 of the 4,478 OCPFs that were subject to inspection that year, or 2.6 percent — a fraction far from sufficient to provide confidence in CWC compliance. To help bridge this gap in the verification regime, the member states should authorize the OPCW to conduct a significantly larger number of OCPF inspections per year. The organization should also be directed to refine the site-selection algorithm so as to target inspections on the multipurpose chemical plants that pose the greatest risk of diversion for prohibited purposes. Finally, to avoid wasting scarce inspection resources on facilities that pose no risk to the CWC, the member states should voluntarily declare more detailed information about their OCPFs than the treaty requires. Another issue of concern with respect to the future of the chemical disarmament regime is the fact that Russia, the United States, the Czech Republic, and possibly China are developing chemical incapacitating agents for use in counterterrorism operations, as well as hostage-rescue situations in which terrorists and innocent civilians are intermingled. Although chemical incapacitants are often termed “non-lethal agents,” that term is a misnomer because such chemicals may cause death or permanent injury at high doses. Russia has already made use of a powerful incapacitating agent, with disturbing results. On October 23, 2002, a band of Chechen separatists took about eight hundred people hostage during a performance of the popular musical Nord-Ost at the Dubrovka Theater in Moscow and threatened to set off explosives unless their demands were met. Russian special forces surrounded the theater, and a standoff with the rebels ensued that lasted for the next fifty-seven hours. Finally, at 5:15 a.m. on October 26, the Russian commandos pumped a vaporized narcotic drug (reportedly, a mixture of derivatives of the synthetic opiate fentanyl) into the theater’s air-conditioning system and stormed the building about forty-five minutes later. The drug knocked out the female Chechens guarding the hostages, allowing the commandos to shoot them at point-blank range; the male Chechens had moved into the lobby and did not succumb to the gas as quickly, but they were killed in the ensuing firefight. Although all forty-one militants died, exposure to the powerful narcotic also claimed the lives of 129 of the hostages, demonstrating that its “non-lethal” character was a myth. In fact, no known chemical agent can incapacitate people quickly and without risk of death when employed under realistic field conditions in a military or law enforcement operation. Furthermore, the refusal of the Russian special forces to disclose the identity of the incapacitating agent prevented emergency medical personnel from administering antidotes in a timely manner. Even today, the exact composition of the narcotic gas remains a mystery. Despite the heavy loss of innocent life, the Russian government declared the hostage-rescue operation a success and is likely to employ chemical incapacitants again in future incidents of this type. Surprisingly, the use of a potent chemical agent in the Dubrovka Theater incident was not considered a violation of the CWC, to which Russia is a party. Although the treaty bans the military use of toxic chemicals, including harassing agents such as tear gas, paragraph 9(d) of Article II allows member states to possess and employ toxic chemicals for “law enforcement including domestic riot control,” as long as the types and quantities of such chemicals are consistent with law enforcement purposes. The negotiators of the CWC included this exemption to permit capital punishment by lethal injection (at the request of the United States), as well as domestic riot control using CS tear gas and similar agents that have temporary irritant effects on the eyes and skin. Because the law enforcement exemption in Article II.9 (d) is so vague, however, it does not explicitly rule out the use of more potent chemicals such as fentanyl, which unlike tear gas has depressant effects on the central nervous system that persist for several hours after exposure. For this reason, fentanyl-like chemicals are not considered riot-control agents but are more properly termed incapacitants, a category that is not defined in the CWC. It is also unclear whether or not the law enforcement exemption extends beyond domestic police use of toxic chemicals to cover counterterrorism operations conducted by paramilitary forces or U.N.-authorized peacekeeping missions overseas. Activities to develop “non-lethal” weapons based on incapacitating agents would not easily be distinguishable from aspects of an offensive CW program: The agents would actually be weaponized, and the considerations with regard to the time between the discovery of a new toxic chemical that might be a candidate novel CW agent and its emergence as a CW may no longer apply. Of particular concern is the possible development of a new generation of biochemical “calmative” agents that would act on the central nervous system in highly specific ways. Pharmaceutical companies are currently developing new therapeutic drugs modeled on natural body chemicals called “bioregulators,” many of them peptides, that control vital homeostatic systems such as temperature, sleep, water balance, and blood pressure. In the brain, a large class of bioregulators act on neural circuits to modulate awareness, cognition, and mood. Based on this research, it may eventually become possible to develop modified bioregulator molecules called analogues that can cross the blood-brain barrier and induce a state of sleep, confusion, or placidity, with potential applications in law enforcement, counterterrorism, and urban warfare. Such chemicals are often referred to as “mid-spectrum agents” because they exist in a gray area between chemical and biological weapons. 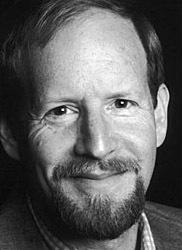 As Neil Davison of the British Royal Society has observed, even if future technical advances permit the development of safer incapacitants that are rarely lethal under operational conditions, the broader issue is “whether the police and militaries of the future (not to mention the criminals, terrorists, torturers, and dictators) should have access to chemical weapons to manipulate human cognition, perception, emotion, motivation, performance, and consciousness.” Such agents could easily be misused for the repression of legitimate dissent, coercive interrogation, and other violations of human rights. Although the number of states that possess chemical arms has declined significantly since the entry into force of the CWC in 1997, interest in such weapons on the part of terrorist organizations has not. Chemical terrorism can be divided into three types of scenarios: (1) synthesis and delivery of military-grade agents, such as mustard and sarin; (2) deliberate release of toxic industrial gases, such as chlorine or phosgene; and (3) sabotage of a chemical plant, industrial complex, or chemical-transportation system, releasing toxic materials that harm the local population. Fortunately, the combination of motivation and technical capability needed to carry out a successful chemical attack is rare. With respect to motivation, terrorist groups that have political objectives, such as the Irish Republican Army, generally have a strong incentive to calibrate their use of violence to avoid alienating their supporters and funders. Politically motivated groups also tend to be conservative in their choice of weapons and tactics, innovating only when forced to do so by the introduction of new countermeasures. In contrast, terrorist groups that would use chemical weapons must be willing to inflict indiscriminate casualties and to pursue risky, innovative tactics. Types of groups that fit this profile include those with a millennialist, racist, or religious ideology, such as apocalyptic cults, radical militias, and jihadist organizations. Toxic chemicals may be attractive terrorist weapons because they inspire extreme dread, enabling even small-scale attacks to have a disproportionate psychological impact. This effect is further amplified by obsessive media coverage, particularly on cable television news, deeply frightening the public and challenging the authority of political leaders. In addition to motivation, acquiring a CW capability requires overcoming a set of challenging technical and logistical hurdles. Chemical terrorists seeking to use military-grade agents, such as sarin or VX, must acquire the equipment and know-how needed to synthesize, handle, and deliver highly toxic materials. Because of these technical difficulties, all incidents of chemical terrorism to date have been fairly crude and limited in scale and scope. The most notorious attacks were carried out by Aum Shinrikyo, a bizarre doomsday cult in Japan. In the mid-1990s, Aum sought to manufacture 70 tonnes of sarin nerve agent for attacks against the Japanese parliament and government ministries in downtown Tokyo. The cult’s aims were to fulfill the apocalyptic prophecies of its leader Shoko Asahara and trigger a massive social upheaval that would topple the Japanese government, opening the way to the establishment of a theocratic state under Asahara’s command. These wildly ambitious goals would have remained in the realm of fantasy except for the fact that Aum had accumulated vast wealth — estimated in the hundreds of millions of dollars — from an array of legitimate and criminal enterprises, including computer stores, vegetarian restaurants, and drug trafficking, as well as appropriating the property of affluent individuals who joined the cult. Flush with cash, senior Aum leaders recruited synthetic organic chemists from Japanese universities and used front companies to purchase a $10 million chemical pilot plant from Switzerland and large quantities of nerve-agent precursors from foreign suppliers. Aum even procured a military helicopter from corrupt officials in Russia with the aim of spraying sarin over the intended targets, but the cult was unable to keep the aircraft in working order. Aum operatives did carry out two small-scale attacks with sarin, the first in the town of Matsumoto in June 1994 and the second on the Tokyo subway in March 1995. In both cases, the poor quality of the nerve agent and the crude means of delivery limited the number of fatalities to seven and twelve, respectively — fewer than would have resulted from a conventional high-explosive bomb — although hundreds more were injured and the attacks had a pervasive terrorizing effect. Analysts have drawn different lessons from the Aum Shinrikyo case. Those experts who tend to play down the threat of unconventional terrorism argue that, despite Aum’s strong motivation to acquire chemical weapons and its access to technical know-how and financial resources, the cult failed in its efforts to scale up the manufacture of sarin and to deliver it in a way that would cause thousands of deaths. The skeptics conclude from this evidence that even fairly sophisticated terrorist groups are incapable of carrying out mass-casualty chemical attacks. More pessimistic analysts point out that Aum had only forty-eight hours to produce the sarin used in the subway incident because the cult leaders had been tipped off to an impending police raid on their headquarters, which they sought to block with a diversionary chemical attack in downtown Tokyo. Because the nerve agent was synthesized in haste in a small laboratory, it was less than 30 percent pure, and Aum scientists also lacked the time to devise an effective delivery system, such as an aerosol sprayer. Instead, they filled dual-ply plastic bags with the dilute sarin solution, which cult operatives carried onto subway cars and punctured with sharpened umbrella tips, producing puddles of sarin that slowly evaporated. If Aum had taken more time to prepare the chemical attack, it might have been far more devastating. Another terrorist organization that has actively pursued chemical weapons is al-Qaeda, which launched a CW development program in the late 1990s in eastern Afghanistan under the direction of a chemist named Midhat Mursi al-Sayyid Umar, better known as Abu Khabab al-Masri. A former scientist in the Egyptian chemical weapons program, al-Masri had joined Egyptian Islamic Jihad, which merged with al-Qaeda in 1998. He subsequently took charge of al-Qaeda’s chemical weapons program, known as Project al-Zabadi. Working in a crude laboratory at the Darunta terrorist training camp, eight miles south of Jalalabad, al-Masri led a group that experimented with several World War I-era chemical agents, including hydrogen cyanide, chlorine, phosgene, and mustard gas. After the U.S. invasion of Afghanistan in late 2001, U.S. troops searched the Darunta camp and found training manuals detailing the synthesis of nerve agents and how to enhance conventional explosives with toxic chemicals. The following year, CNN broadcast a disturbing al-Qaeda videotape obtained in Afghanistan that showed three dogs being exposed to a toxic gas that appeared to kill them after several minutes. In July 2008, Abu Khabab al-Masri was killed in a U.S. Predator drone strike near the Pakistan-Afghan border, dealing a major setback to al-Qaeda’s CW ambitions. Despite the strong interest in acquiring chemical weapons on the part of al-Qaeda and allied groups, their technical capabilities for production and delivery have remained rudimentary. For example, in February 2003, acting on a tip provided by the CIA, the Saudi Arabian authorities arrested a jihadist cell consisting of five Arab men who were loosely affiliated with al-Qaeda. When the investigators examined the hard drive of a computer owned by one of the men, they found a data file containing plans for a home-made chemical dispersal device called a mubtakkar (“invention” in Arabic). This device, which could be built from readily available materials, consisted of a container about the size of a paint can that held two Mason jars filled with liquid hydrochloric acid, surrounded by crystals of potassium cyanide. A detonator and small explosive charge, activated remotely by cell phone, were designed to break open the jars and allow the acid to react with the crystals to generate hydrogen cyanide gas, which is lethal when released in an enclosed space. The Saudi cell contacted al-Qaeda and proposed using the mubtakkar for a terrorist attack on the New York City subway system. Osama bin Laden’s deputy Ayman al-Zawahiri personally approved the plan, and the team traveled to the United States in autumn 2002. Six weeks before the planned attack in spring 2003, however, al-Zawahiri called off the operation and ordered the Saudi cell to return home, explaining, “We have something better in mind.” As former CIA Director George Tenet noted in his memoir, At the Center of the Storm, the subway attack was canceled because it “was not sufficiently inspiring to serve al-Qai’da’s ambitions.” Indeed, when CIA chemists reconstructed the chemical dispersal device from the plans in the confiscated computer file, they determined that it would not have worked effectively. The acid and the cyanide crystals would have reacted violently, causing the device to blow apart and abort the generation of the lethal gas. Moreover, although hydrogen cyanide is invisible and odorless, the device would have given off a second, more noxious gas called cyanogen chloride, irritating the victims’ eyes, throats, and lungs and causing them to flee the subway in search of fresh air before the hydrogen cyanide could reach a lethal concentration. Individual “lone wolf” terrorists with advanced training in organic chemistry or chemical engineering may also pose a threat. In August 1998, for example, the Moscow police arrested a forty-year-old chemist named Valery Borzov after he attempted to sell a vial of nitrogen mustard (a potent blister agent) to an undercover officer. Borzov had been fired from his scientific research job in 1997 and since then had made a living by synthesizing toxic chemicals in a home laboratory and selling them to the Russian mafia and other criminals for $1,500 per vial. After his arrest, he was diagnosed with schizophrenia, found mentally incompetent to stand trial, and committed to a mental hospital. Although Borzov could produce small amounts of military-grade CW agents, manufacturing them in larger quantities and devising a suitable delivery system would require far greater technical resources and know-how. Although most terrorist groups that seek a CW capability are still fairly low on the technical learning curve, they could potentially improve their capabilities through a process of trial and error, particularly if they can recruit chemists and chemical engineers who have practical experience working in a state-level CW program. Groups that have developed toxic weapons in the past have typically enjoyed a permissive environment that provided time and space for experimentation. In the case of Aum Shinrikyo, the Japanese police did not take preemptive action against the cult despite clear indications that it was working with toxic chemicals. The reason was that Aum had been officially designated a religion, giving it special legal protections. Similarly, al-Qaeda’s physical sanctuary in Taliban-controlled Afghanistan enabled the group to develop and test chemical weapons in secrecy. These cases suggest the importance of denying terrorist groups safe havens, either physical or legal. Because the prevention of chemical terrorism cannot be guaranteed, effective response and mitigation capabilities are essential, including plans and procedures for the storage, deployment, and administration of medical antidotes and the decontamination of crowds and buildings. The narrow time window for treating exposures to nerve agents (minutes to hours) means that federal response teams would probably arrive too late and would be useful mainly for post-incident decontamination and clean-up. For this reason, state and local hazmat units must be given additional resources and training, along with frequent field exercises. First responders also need better handheld CW agent detectors, portable decontamination showers that can be operated by small crews, and decontamination solutions that are environmentally friendly and less corrosive to the skin. Finally, public-affairs specialists must communicate vital information to the public so that individuals can take steps to minimize their risk of exposure. In addition to the synthesis of sarin and other military-grade CW agents, possible scenarios for chemical terrorism include the release of toxic industrial chemicals (TICs) such as chlorine, phosgene, arsine, and anhydrous ammonia. Although these chemicals are less lethal than classical warfare agents, they are far more widely available. Dozens of different TICs could potentially be used as weapons, complicating the tasks of identification and treatment, particularly if mixtures are used. Moreover, large volumes of these agents might be released, compensating for their lower toxicity. TICs could be stolen or diverted from several types of facilities, including chemical or pharmaceutical manufacturing plants, oil and gas installations, semiconductor factories, and even large farms, which use toxic pesticides and anhydrous ammonia as a source of nitrogen fertilizer. Chlorine has myriad industrial applications, including plastics production, water purification, and sewage treatment; in 2008, the global production capacity for chlorine was 62.8 million tonnes. Because of their ubiquity, TICs are relatively easy to acquire. In 2007, for example, investigators from the New York Police Department set up a fictitious water-purification company and ordered large quantities of chlorine over the Internet. Although the synthesis of military-grade CW agents requires considerable technical expertise, the release of TICs would demand little specialized know-how. Terrorists could steal a pressurized cylinder of toxic gas and discharge it into an enclosed space, such as a subway station or the ventilation system of an office building, or they could use a small explosive charge to punch a hole in a chemical storage tank and release a cloud of toxic agent. The potential consequences of a TIC attack are suggested by industrial accidents involving hazardous materials, which are fairly common and occasionally devastating. The most consequential hazmat incident to date occurred at a Union Carbide pesticide plant in Bhopal, India, in December 1984. Some evidence suggests that this event may have been the result of intentional sabotage. In the middle of the night, water leaked — or was deliberately fed — into a large holding tank of methyl isocyanate, triggering an explosive reaction that led to the release of forty tonnes of highly toxic vapor. The poisonous cloud drifted over a sprawling shantytown adjacent to the plant, kept close to the ground by an atmospheric inversion. Of the large number of people exposed to the chemical, about 100,000 required urgent medical treatment and some 50,000 were hospitalized. An estimated 2,500 victims died immediately and about 16,000 succumbed after a period of months or years. Today, a quarter-century later, thousands of victims of the Bhopal disaster still suffer from chronic ailments. Even if perimeter and personnel security at chemical plants that work with TICs are bolstered significantly, elements of the transportation infrastructure (such as rail cars, tanker trucks, and barges) may still be vulnerable to attack. In 2005, for example, the derailment of a freight train near the small town of Graniteville, South Carolina, led to the discharge of perhaps as much as sixty tons of chlorine gas, killing nine people and injuring 250 others. The consequences of the deliberate release of a TIC would depend on the characteristics of the agent, the atmospheric and weather conditions, and the population density in the path of the toxic plume. According to data from the Environmental Protection Agency, about a hundred chemical plants in the United States each put one million or more people at risk. The best defense against chemical terrorism involving TICs is to prevent it from happening in the first place by enhancing the physical security of chemical plants and the associated transportation infrastructure; reducing the quantities of toxic chemicals that are stored and handled at plant sites; and converting industrial processes to less toxic chemicals whenever possible, such as using ozone or bleach instead of chlorine for water treatment and carbonate esters in lieu of phosgene. The transport of TICs also needs to be better regulated. According to Paul Orum of the Center for American Progress, each year railcars carrying chlorine gas travel 300,000 miles throughout the United States, passing through almost all major cities and towns. Because no strategy of prevention is foolproof, efforts to enhance chemical plant and transportation security must be backed up with capabilities for incident response and mitigation. Real-time computer modeling can predict the geographical area affected by a toxic plume so that public health officials can advise local residents to evacuate or shelter in place. Improving the ability of cities and states to mitigate the consequences of chemical terrorism involving TICs would have the secondary benefit of building capacity to handle ordinary hazmat accidents. Despite the successful implementation of the CWC over the past dozen years, chemical weapons remain a serious threat to U.S. and international security and deserve greater attention from policymakers, the news media, and the general public. The CW threat is multifaceted, encompassing military-grade agents, novel incapacitating agents, and toxic industrial chemicals. Moreover, in a world of globalized, flexible chemical manufacturing, countries may decide to hedge their bets by acquiring a standby capability to produce CW agents in a crisis or war. Such “latent” proliferation enables states to break out of the CWC on short notice, creating serious dilemmas for the verification of compliance. Increase significantly the budget of the OPCW, which has remained flat at about €74.5 million for the past five consecutive years despite the growing burden of inspections. Provide greater political support for the OPCW action plans to achieve universal adherence to the CWC and to ensure effective national implementation of the treaty by all member states. Since the OPCW adopted the action plan on universality in 2003, thirty-three additional countries have joined the CWC. Revive the dormant CWC challenge inspection mechanism by using it to clarify ambiguities about compliance, such as whether a particular facility should have been declared, thereby avoiding the political risks of trying to catch suspected violators red-handed. Earmark additional funding to accelerate the destruction of U.S. and Russian CW stockpiles in a safe and environmentally responsible manner, so as to complete the task as close as possible to the April 2012 treaty deadline. Increase the total number of OCPF inspections per year, while further refining the site-selection algorithm to focus on the multipurpose chemical manufacturing facilities that pose the greatest risk to the CWC. Clarify the law enforcement exemption in the CWC to restrict the types and quantities of chemical agents that can be used for counterterrorism and paramilitary operations. Improve the monitoring of global trade in dual-use chemical precursors and production equipment, and support cooperative multinational efforts to track and interdict illicit shipments. Strengthen political and economic sanctions on companies and governments that continue to supply CW precursors and production equipment to known proliferators. Expand domestic preparedness measures for incidents of chemical terrorism. Despite the important strides that have been made since the end of the Cold War in reducing the threat of chemical weapons, their total abolition remains a distant goal. At the same time, the emerging political and technological challenges to the effective implementation of the CWC provide grounds for concern. To prevent the chemical disarmament regime from unraveling in the future, the United States and other responsible members of the international community must take urgent steps to strengthen the ban on this largely forgotten class of armament. Jonathan B. Tucker is a senior fellow specializing in chemical and biological weapons issues in the Washington, D.C. office of the James Martin Center for Nonproliferation Studies of the Monterey Institute of International Studies. His most recent book is War of Nerves: Chemical Warfare from World War I to Al-Qaeda (Pantheon Books, 2006). Jonathan B. Tucker, "The Future of Chemical Weapons," The New Atlantis, Number 26, Fall 2009/Winter 2010, pp. 3-29.